Hotels control much of the coast in Sharm and the other Red Sea towns in South Sinai, with beaches fenced off for the exclusive use of their guests. But in some places the beach is shared by everyone, including the wild dogs and the camels, and even some cats which come to hunt for crabs along the shore. 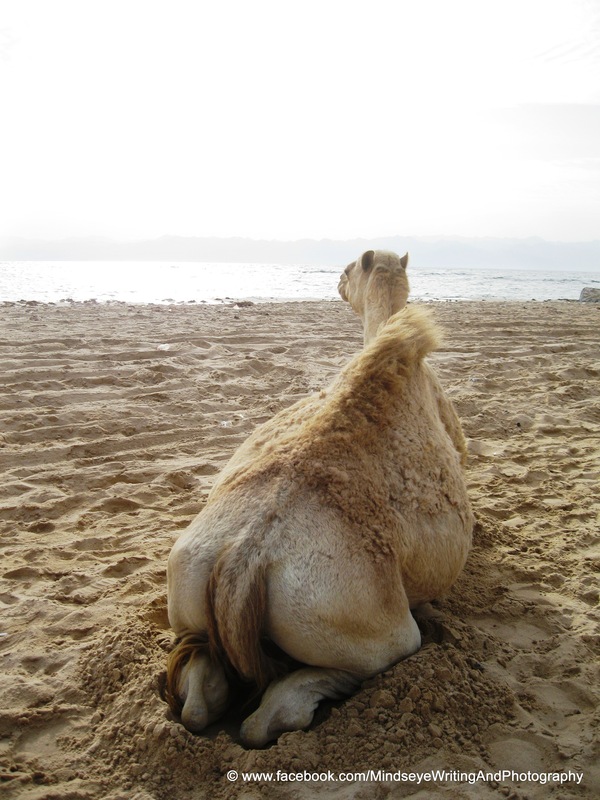 This camel was enjoying the view in Nuweiba, looking across the Red Sea to the mountains of Saudi Arabia. This entry was posted in Animals, Nuweiba, Red Sea. Bookmark the permalink.